Do You Know how to do Product Marketing on your Own Or Affiliate Products? Product marketing is the process of promoting and selling a product to an audience. This question has been asked and answered many times by different people to whether or not you need to have your own product to become a successful marketer or company. Why is this question asked so many times? The reason it is asked so often is because people and companies do product marketing differently so there are many different answers. In our opinion there isn’t a right or wrong way as long as what you are doing sells product. Is that where you should stop? No! You should always be testing to find out if you can sell more even if it is changing the wording, or the target audience and all the rest of the little tweaks that make the difference. There are those who say “you must have your own product to succeed” and then there are those who say “you don’t need your own product when you start or ever to be successful”. So, who is right, Yes or No? Let us tell you both answers are right and always will be. Having your own product if you can is great but it isn’t absolutely necessary at all. Yes, if you do have your own products you certainly will make more money as you are not taking just a percentage. Those who do affiliate marketing can build a website around that product and add their affiliate links to it. But as we said earlier you are only making a percentage of that sale that can be anything from 4% to 75% or even 80% on the very high end typically. If you are very lucky 100% when the product owner is only interested in making sales or building a list. Of course once he gets these sales he can use this list to sell other products too. So you don’t have to have your own products but can still create a great website as an affiliate marketer and as you know producers of products love affiliate marketers and as you know these product owners are not hard to find regardless of what niche you are in. The other thing to remember is that you do not need any marketing support as this is all done by the product owner that you are being an affiliate for. Whatever way you do your marketing, whether it is with your own product or just do affiliate marketing you must have this in common and that is you must be passionate about the products you sell. You can sell products that you are not passionate about but you will never be successful in this type of marketing if you are not interested in the product yourself. It does take drive and ambition to succeed at any type of selling. Of course you know you can build your own list as well? Well if you don’t know that will be a story for another day. Whether you are marketing your own or affiliate products your success is directly related to how effective your marketing techniques are. You can still make money if you’re not, but staying focused and managing your time the best way is the secret to your success with product marketing. 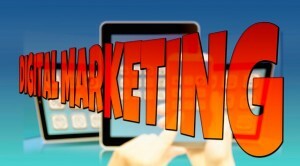 It is marketing other people’s products and earning a commission in return for your effort. You do this through email campaigns to your list using an auto-responder, by writing articles and using banners on your own website or blog. This is where you will promote the product and when someone who is interested in the promotion clicks on your affiliate link that then goes to the product or service and if they purchase you will get a commission. The tracking is done by software that the product owner implements in their program but you can always use your own tracking as well which isn’t a bad thing. You should do a campaign for a product that you are interested in or better still something that your list would be interested in. Your first step is to go to their product website and register as an affiliate and once the process is complete you will gain access to a page that will have all their resources they are offering as well as your affiliate marketing link. On this page you should have items like emails, twitter posts, Facebook posts and banners. You can grab one of these banners that has your link or if not you can put a hyperlink in so when someone clicks on the banner they will be sent to the product page with your ID included so if they purchase you will get your commission. Also text links like this http://marketingandproducts.com/recommends which you can use to market the product by pasting them in your website or emails. When a person clicks on your banner they will then go to the product website. If they then purchase the product, it will be registered on owners system with your affiliate id and you will get the commission for that sale. Sharing revenue, or paying a commission to affiliates on customers that are referred to a company, has been around for a very long time. In the case of the World Wide Web, this type of marketing is a more recent occurrence. It is widely accepted that one of the earliest online businesses to embrace commission based marketing as usual was the adult entertainment industry. 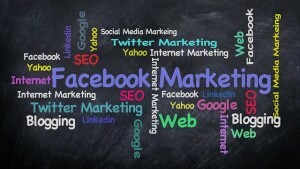 The benefits of starting in this type of marketing are that it isn’t difficult to get started. Promoting all ready made products or services eliminates the need for you to create your own product or to deal with customers, which is probably the reason so many entrepreneurs want to be affiliate marketers, by creating their online incomes in this way. Affiliate marketing is a marketing practice in which a product owner or company rewards the person for each visitor or customer they send to their site. This type of marketing overlaps with other Internet marketing methods to a certain degree, because affiliates often use normal advertising methods. These methods include organic and paid search engine optimization, website marketing, e-mail marketing, and display advertising. On the other hand, sometimes underhand techniques are used, such as publishing reviews of products or services offered by a partner and just saying they are brilliant, great and would recommend to buy it. The more websites a product owner is associated with, the more exposure his products get, by allowing ads for his products to appear on someone else’s website. While this type of marketing has its benefits, there are also a few draw backs. For instance, the merchant has to share the profits with an outside party. If an affiliate uses unsavory means to bring customers to his website and sell the merchant’s products, he will have to contend with doing damage control for his reputation if he gets a lot of unhappy customers.